Oh, it's just another day in the Kardashian world. 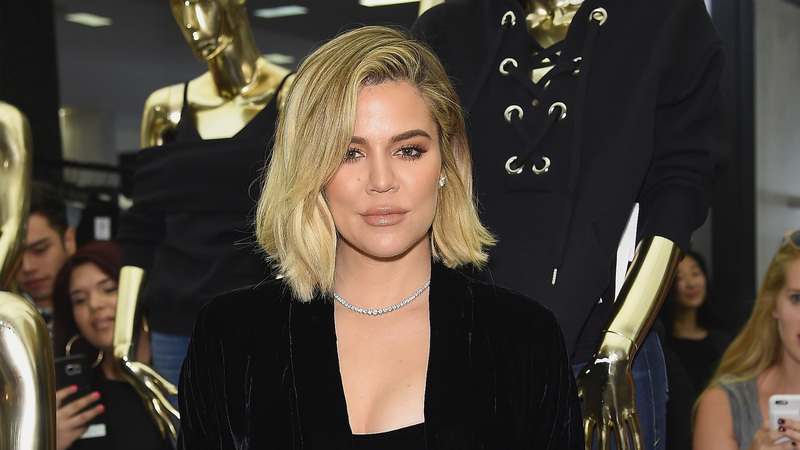 Why are we even surprised Khloé Kardashian's baby girl, True Thompson, was just gifted a mini-Bentley car from her honorary aunt Kimora Lee Simmons (yeah, that Kimora Lee Simmons)? "I'm not sure what's cuter," wrote Kardashian in an Instagram post, "the cute teddy bear driving the Bentley truck or True's cheeks and smile. Thank you Auntie Kimora and family for the precious gift!" Kardashian also shared on her Instagram Story that Simmons was feeling so generous, she gave baby Bentleys to Kylie Jenner's baby, Stormi, and Kim Kardashian West's daughter, Chicago. The toy ride-in cars retail for around $300 each. "Oh my God! I just came back from the gym and look what Kimora Lee sent to the girls!" Kardashian squealed in her Instagram Story, showing the trio of luxe teeny Bentleys. "This one is for Stormi, this is for Chicago, this is for my True mama. Oh my God! Thank you, thank you." That is one serious baby squad. They're rollin' — and some fans are hatin' a little. One follower wrote, "She should of receive a cross or a bible so this child grows closer to God as opposed to embedding materialism in her brain." Whoa. Chill. Kardashian had a quick retort: "We read children's bible stories everyday and we say prayers every single night but you should not pass judgement either way. Why be so negative if you are a child of God?" Kardashian continued, "She's a baby who received a beautiful sweet gift and I was SOOO excited to put her in it and take a picture! I'm enjoying every single moment I can with my sweet angel! The angel GOD gave me!" Kardashian also tweeted, "I don't want to be one of those moms that only posts pictures of her kids but I can't help it LOL I feel like my Instagram should be a Khloé/True Instagram page. Ugh she's just so sweet I can't control myself sorry in advance guys lol." Except for the stable of mini-Bentleys, she sounds like every other mom out there, no?